When radio first became widely available it changed the world. It has been the source of our news, weather, entertainment, and traffic reports. It has made us laugh, sing, dance and it has spawned debate. It has helped introduce us to new products and has sold us everything from soft drinks to our cars. It has shocked us and been the soundtrack of history. In small towns it is still is a source for school lunch menus, local birthdays and even obituaries. The first commercial radio broadcast facility went on the air in Pittsburgh in 1920. Radio advertising wasn’t far behind. In fact, that first radio station was created to help Westinghouse sell more of its home radios. Radio was an extremely effective way to advertise then, and it is today. 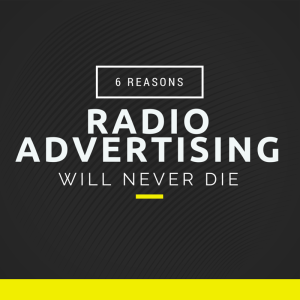 For those who believe radios days are numbered, here are six reasons why radio advertising will never die. Radio is Resilient: Radio has been extremely resilient through the years. Radio was the first electronic mass media ever created and its death has been repeatedly predicted. It was said to be dead with the advent of television in the 1950’s. Audiophiles embraced it when cleaner sounding stereo FM radio was introduced in the early 70’s. AM radio became a hotbed for sports broadcasts and talk in the nineties. Now radio is adding new technology to the mix with streaming, listener involving apps and social media. Instead of dying, radio is morphing and changing to adapt to the world around it. Ask how your radio station is adding new technology to the mix. Radio is Local: This is one of its most powerful attributes. Radio reflects the needs and personality of the cities and towns it broadcasts to and the audience it wants to capture. Radio stations who get involved are generally more successful, promoting and sponsoring local events and fundraisers. Find out how you can get involved. Radio Is Targeted: No matter who your target demographic is, radio can usually deliver. Formats are wide and varied. If you are looking for a female audience, a nice soft rock station may fit the bill, but so may a contemporary country outlet. Targeting men? They tend to lean towards classic rock and all sports. Are you interested in an older demographic? You may want to look at the numbers for a talk station. Looking to skew younger? Check out your local hot urban station. Just remember, advertising on a station because you like the music is like buying a billboard next to your business. Reach out to your target demo and radio can help you do that. Radio is Creative: Radio ads can be funny, poignant, or hard sell. You can capture attention, build a brand and stay memorable with a jingle. You can build your own visibility by voicing ads yourself. In fact, you can do any combination with radio. A well-crafted radio spot is a beautiful thing. If you don’t have your own theme or jingle, at least use a background music bed that is consistent. It is Affordable: Radio is still an affordable advertising medium. You can stretch your advertising dollars by partnering with stations in their fundraising activities or by working out a partial barter for your goods or services. Building a relationship with a local radio station can be very valuable. Ask your account representative for ideas on promotions. Lunch with the station’s sales manager can help in this respect. 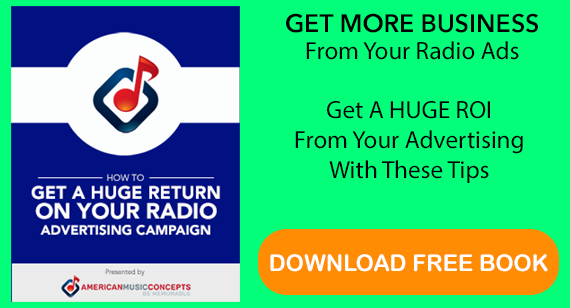 It Works: The reality is when radio advertising is done correctly, it works. Things simply do not become obsolete when they are working for their customers. According to Nielsen Research, over 90% of Americans listen to radio each week. There are proven tactics that can help your radio marketing efforts and a radio representative can help you reach them. With numbers like these, radio advertising will never die.